Invite your crew to lift their glasses high. 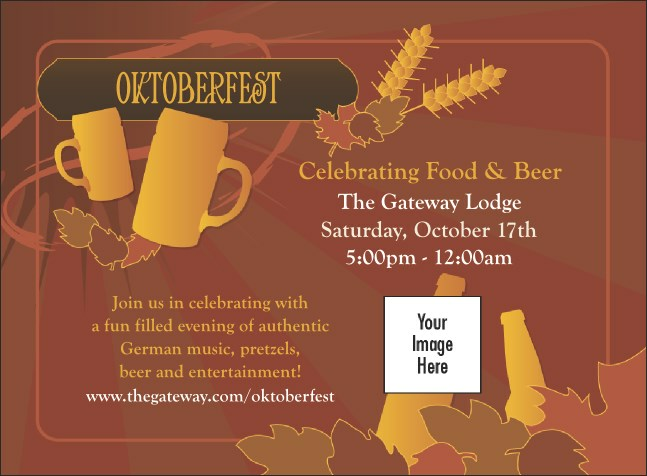 Kick off the party with this Oktoberfest Invitation template in shades of red and orange. Warm tones and an autumn-themed decoration with falling leaves, ripe wheat, and bottle and mugs of delicious beer help your supporters mark their calendars for your big event. Make them feel welcome with Invitations from TicketPrinting.com.